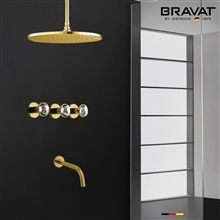 This fantastic shower system comes in a beautiful oil rubbed bronze finish which fits beautifully in a sophisticated or vintage bathroom setting. Six adjustable 360° body jets and handheld shower ensures all over coverage. It is made of solid brass with an elegant dark oil rubbed bronze finish. 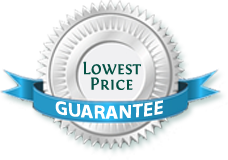 Four showerhead sizes are available to suit your showering needs. The electronic touch panel makes it easy to control all the functions of this unique shower system. 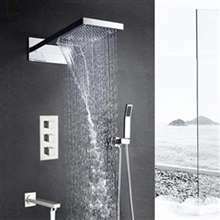 The showerhead can be used with either wall or ceiling mounted arm. Modern stylish design constructed of stainless steel finished with oil rubbed bronze. Firstly, I like this shower set. It's complete and it was selling for a very reasonable price when we got it during the sale. The finish also looks good and durable, so I'm quite sure that this will continue to look good for a very long time. The only issue that I have with this shower set concerns the display. It seems that steam is able to penetrate the upper right corner of the display. It's not too much of a bother since the display is readable and all, but I just don't like the idea that there's steam where there isn't supposed to be any. I am totally disappointed with the shipping services for my order. It came almost four weeks after the order was placed, and the customer support wasn't least bit helpful. I was on the verge of asking for a refund but decided to wait instead. Well, it did came, and good thing the product was in perfect condition and all the features were present or else I'd be giving this a 1 star rating. We've been wanting to get one of these for quite some time now, and when we saw this one on sale, we decided that this would be the best time to buy one. so we placed an order and waited excitedly for it to arrive, and when it did had it installed. Well, we were more than pleased with this one. Everything works really great, especially the body jets. It's just a whole new showering experience. I've always wanted to have those body jets installed in my shower, but after seeing this and thinking it over, I decided that I may as well go and change my whole shower system. It was pretty expensive for my budget, but I am really pleased with what I got. This shower set is just amazing. I love everything about it, from the shower head to the body jets. Two thumbs up! compared to more expensive shower sets I this shower set is nice . I have been using it for over 6 month It came in great condition and I liked that I got it cheaper than I somewhere else. The water pressure on all shower feature is really nice.